Adam Apt, a native of Belmont, Massachusetts, lives in Cambridge, Mass., where he is the proprietor of Peabody River Asset Management, LLC, a registered investment advisor. He holds a BA in astronomy from Amherst College, a doctorate in the history of science from the University of Oxford, and an MBA from the University of Chicago. Apart from a couple of hikes when he was at summer camp, his serious hiking in the White Mountains began in 1991, and he has solo-hiked the New England Hundred Highest and the Adirondack Forty-Sixers. In winter, however, he has hiked only about a quarter of the 4000-footers of the White Mountains (not all solo). His White Mountain collection consists primarily of books and other works on paper, including manuscripts and photographs, and especially maps, about which he has published a few articles. His White Mountain stereoviews, including some on glass, number about 1500. 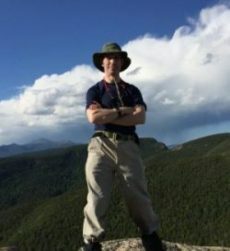 He has contributed text to the whitemountainhistory.org Web site, and in 2006, he was guest curator of an exhibition of White Mountain Maps at the Harvard Map Collection. He is past president of the Boston Economic Club, treasurer of the Boston Committee on Foreign Relations, past treasurer of the History of Science Society, and past secretary of the Boston Map Society. Douglas Evelyn is an independent museum planning and management consultant following a 36-year career at the Smithsonian where he served respectively at the National Portrait Gallery (1969-79), the National Museum of American History (1979-92), and the National Museum of the American Indian until his retirement from the Smithsonian in late 2005. He was deputy director of all three museums, in charge of day to day operations, support of the director, and liaison with relevant Smithsonian boards and offices. He served on many Smithsonian task forces and helped negotiate the agreement with the U.S. Postal Service establishing the National Postal Museum. His particular interest has been the development of new institutions and transformation of longstanding organizations to meet new challenges. Evelyn began his museum career at the American Association of Museums (now American Alliance of Museums, AAM) in 1963 and has served on the boards of the AAM (Treasurer), the American Association of State and Local History (President), and the US Committee of the International Council of Museums. He’s been an accreditation peer reviewer for the AAM for three decades. He was board chairman of the New York State Historical Association/Fenimore Art Museum from 2009-2015 and now serves on its board and the boards of the George Washington University Museum/Textile Museum (co-chair) and Canterbury Shaker Village. He served on the board of the Ammonoosuc Conservation Trust for 9 years and has performed its work in connection with its role as a consulting party to the Section 106 historical impact process for the Eversource Northern Pass Transmission Project. In this capacity he worked with many North Country towns and historical organizations to research and identify historical landscapes and properties. Among his clients since 2007 have been the Abu Dhabi Authority for Culture and Heritage (ADACH), The George Washington University, the Jewish Historical Society of Greater Washington, and Hartman-Cox Architects, Washington, DC. For George Washington University (2010-2013), he advised on its affiliation with the Textile Museum, including facilities needs and architecture (museum building and collections/conservation center), and transition planning toward opening the new facilities and operating as an academic museum. Carol is a principal of Wingate Enterprises Consulting in Meredith, NH with her husband, Richard, a former corporation lawyer. Her primary focus is working with nonprofit organizations. She has served as Executive Director of Interlakes Community Caregivers Inc. and before that as the Director of the Inter – Lakes Senior Center, Meredith.Carol worked for the Du Page Children’s Museum in Wheaton and Naperville, Illinois, where her responsibilities included management of the Museum store; facilitator and trainer in customer services for staff and volunteers; and as special events planner and fundraiser. A graduate of Plymouth State University, she has experience as an elementary school teacher in Connecticut, an elected Trustee of the Glen Ellyn, IL Library, and an active volunteer and community advocate. She has served as PTA Presidents, and on various community boards.In 2001, she was named as a founding member of the President’s Council at Plymouth State University where she served 5 terms, active on the Executive and Campaign Steering Committees, and as the President’s Council liaison to the PSU Alumni Board of Directors. As members of the Town of Meredith, NH, Community Center Search Committee, she and her husband, were active in a private fundraising campaign a unique initiative that combined both municipal and private funding that effectively brought the Meredith Community Center to fruition in 2006. David Govatski retired from the US Forest Service after a 30-year career as a Fire and Aviation Management Officer, Forester and Silviculturist. He has a Bachelor of Science in Forest Management from Unity College in Maine and a Certificate of Advanced Studies in Silviculture from the US Forest Service. David worked on a National Interagency Incident Management Team with the US Forest Service for eight years. David serves on the board of directors of WhiteMountainHistory.org and is the Secretary of the Weeks Act Centennial Coordinating Committee. 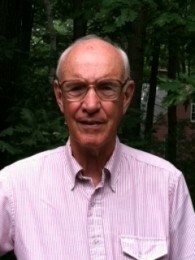 He was employed by the AMC Hut System in 1967 and 1968. He is one of a dozen people to have red lined all the trails in the White Mountains. David has a small forestry and natural resource consulting company in addition to his volunteer activities. He is an avid naturalist with a focus on birds and alpine plants, a hiker, canoeist, Nordic skier, and snowshoer. He serves on the Board of Directors of several environmental organizations and is an active trip leader. 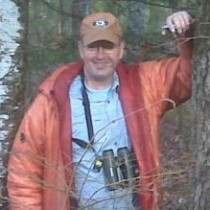 He lives with his wife, Kathi, in their home in Jefferson NH. Linda Gray has made a career in New Hampshire’s arts and nonprofit fields since graduating from Plymouth State College in 1978 with a BS in Art Education. She is a Senior Philanthropy Advisor for the New Hampshire Charitable Foundation, partnering with donors and their advisors to build charitable assets in the Lakes and North Country Regions. 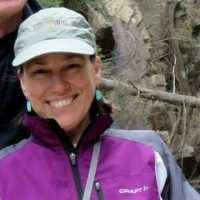 Linda joined the staff of the Foundation in July of 2000, bringing years of experience in non-profit management and capacity building, and a broad knowledge of North Country communities. In the late 90s she was Director of Development at the Mount Washington Observatory, and for nine years prior to that was Executive Director of the New England Ski Museum in Franconia Notch. In addition to her full-time work at the Charitable Foundation, Linda paints oil landscapes off the coast of Maine and in the White Mountains. Her artwork has been exhibited in a number of group and solo shows as well as being included in several private collections. Her paintings are represented by Valerie’s Gallery in Portsmouth and occasionally at the Local Works Marketplace at WREN in Bethlehem and at the Mount Washington Hotel. Linda lives in Intervale NH with her husband. In her spare time, she can be found hiking, biking, kayaking, nordic skiing, and traveling as much as possible. 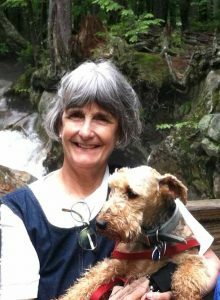 Her volunteer work in the community has included serving on the boards of the Upper Saco Valley Land Trust and the Jackson Ski Touring Foundation. Carol LaFontaine has transformed her love of art and enrichment programs for children into a passion to bring both to the communities in which she resides. She developed cultural enrichment programs in cooperation with the Museum of Fine Arts, Boston and other area museums that were accessible by public transportation for elementary school children that was recognized by the Massachusetts Cultural Alliance. She grew up in Belmont, Ma and raised three children while establishing a successful interior design business. She was active in the Belmont community as a Town Meeting Member, chair of the Mount Auburn Hospital Ball for several years and volunteered for six years in the cancer ward at Boston Children’s Hospital. After moving to Newfound Lake she was a member of the Newfound Audubon Committee, co-chaired the Fairy House Event in Hebron and has served on the board of the New Hampshire Music festival and the Plymouth Friends of the Arts. In the winter she is a docent at The Baker Museum, Naples, Florida. Both Carol and her husband Roger are enthusiastic supporters of Camp Mayhew and the Circle Program. Carol has traveled and explored seven continents and is always learning and bringing this new found knowledge to others. The LaFontaine’s currently sponsor two children from Kenya at Camp Onaway, Camp Pasquaney and the Holderness School. She also loves spending time with her family and two grandsons. Andy McLane and his wife, Linda, live in Weston MA and have a vacation home in Bridgewater NH on Newfound Lake. He works with TA Associates, a Boston based private equity firm managing $16 billion in capital. 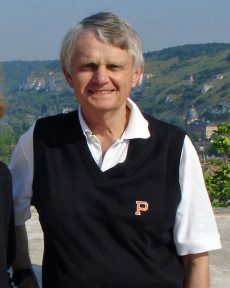 Andy joined TA Associates in 1979, became a Managing Director in 1982 and Senior Managing Director in 1997, and served on TA’s Executive Committee for 20 years. 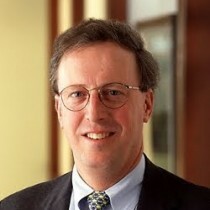 He became a Senior Advisor of the firm in 2008. Andy is Chairman of the Board of Tempur-Pedic International. Prior to joining TA Andy was a Vice President at the State Street Bank and served two years with the U.S. Peace Corps in Chad, Central Africa. He holds an AB degree from Dartmouth College (1969) and an MBA degree from the Tuck School of Business at Dartmouth (1973). Andy serves on the Boards of the Cambridge Boat Club, the Museum of Fine Arts (Boston), St. Paul’s School and the U.S. Ski and Snowboard Team Foundation, and is a member of the Investment Committees of the Appalachian Mountain Club, Dartmouth College and Phillips Exeter Academy. He was born in Littleton NH. Educational Projects Committee, and has been a fundraiser for Fort Ticonderoga. Lise has worked on several historic preservation projects including The House of the Seven Gables and The Kent House in Lancaster, NH. She currently serves as a Board Member on the New York Landmarks Conservancy, and is a committee member for the Van Cortlandt House Museum in Bronx, NY. Rebecca Weeks Sherrill More, Ph.D., Visiting Scholar, Dept. of History, Brown University. 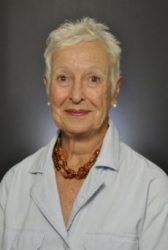 She directed the Harriet W. Sheridan Center, Brown’s professional development center in pedagogy for faculty and graduate students until her retirement in 2010. She continues to teach part-time at Brown. She and her husband, Tim, are also part-time residents of Lancaster NH on a family farm established by her grandfather Sinclair Weeks. She continues active research on the social, economic and cultural history of Early Modern England and Colonial America. Her lectures include colonial settlement in New Hampshire and the 1911 Weeks Act, which her great-grandfather Congressman John Wingate Weeks sponsored to further development of the Federal National Forest Reserves. She currently serves on the board of the Weeks Medical Center, on the Outreach committee for the Society for the Protection of New Hampshire Forests, as Trustee of NH Historical Society, and on the Fine Arts committee of the RISD Museum. After spending his career in Investment Management in Boston and New York before retiring in 2004, Wayne Thornbrough spent a decade serving the Appalachian Mountain Club as Treasurer and then Chair of the Board for his final three years. He stepped down in 2016, but continues as Chair of the Nominating Committee and Co-Chair of the Board of Advisors. On the personal side, he and his wife Barbara split the year between New Hampshire in Waterville Valley and Florida in Delray Beach. They remain active as hikers and walkers and Wayne has added a serious commitment to Photography in retirement. Bryant Tolles was born in Hartford, CT. He has a B.A. degree in American Studies from Yale (1961), an MAT in History also from Yale (1962), and a Ph.D. in History (New England and American Studies) from Boston University (l970). Bryant was assistant dean at Tufts University from l965-71, assistant director of the New Hampshire Historical Society (Concord, NH) from l972-74, executive director of the Essex Institute (Salem, MA) from 1974-84, and Professor of History and director of the Museum Studies Program at the University of Delaware from 1984 to 2006. Now retired he and his wife, Carolyn, live in Concord, NH where he has devoted time to book projects, nonprofit trustee and committee work, and part-time teaching (Tufts, Harvard). Focusing primarily on American architectural history in his scholarship, he has lectured and published books on New Hampshire and Salem, MA architecture; summer cottages in the White Mountains; resort hotels of the White Mountains, the Adirondacks and the New England coast; and, college and university architecture and campus planning in New England before 1860. His current non-profit board service includes the New Hampshire Humanities Council, the Squam Lakes Natural Science Center and the Canterbury Shaker Village. Paula Lee Hobson joined Plymouth State University as the Vice President for University Advancement in July 2014 and has 35 years of experience in development and marketing, including 20 years of experience in Institutional Advancement in higher education. Under her leadership, Plymouth State University Advancement has set fundraising records—from $1.2 million in fiscal year 2014 to $5.2 million in fiscal year 2017—as well as launched a comprehensive integrated marketing communications program to support the brand of the University’s integrated clusters learning model—“See further up here.” Paula Lee is responsible for the University Advancement division, including development, planned giving, annual giving, alumni relations, marketing communications and creative services, advancement services, and career development. Prior to Plymouth State, she was the Executive Director for the largest community college in Northern Nevada and led the institution’s successful $25 million Major Gifts Campaign. The first part of her career was spent in private industry, and she most recently served as the Vice President of Marketing and Sales for HSI Geotrans, a private hydrogeologic and engineering consulting firm that had office locations across the Western Hemisphere. Ms. Hobson also served in development and marketing leadership roles for Hydro-Search, Kleinfelder, The Mark Group and JMA Architects and Engineers in Nevada. Her advancement management expertise covers major gifts, capital campaign leadership, alumni relations, events, communication, marketing, advertising, public relations, graphic design, photography, videography and social media. A first-generation college graduate, Paula Lee knows the transformational impact of higher education on students. Paula Lee grew up in the small town of Coquille, Ore., earned a bachelor’s degree in English at the University of Oregon and a master’s degree in journalism at the University of Nevada Reno. She is a professional member of the Council for the Advancement and Support of Education and the Association of Fundraising Professionals.